More years follow. Some of the newness wears off. Marriage changes a bit, but change is good. Marriage is work, but anything worth anything takes work. You know what is fun? 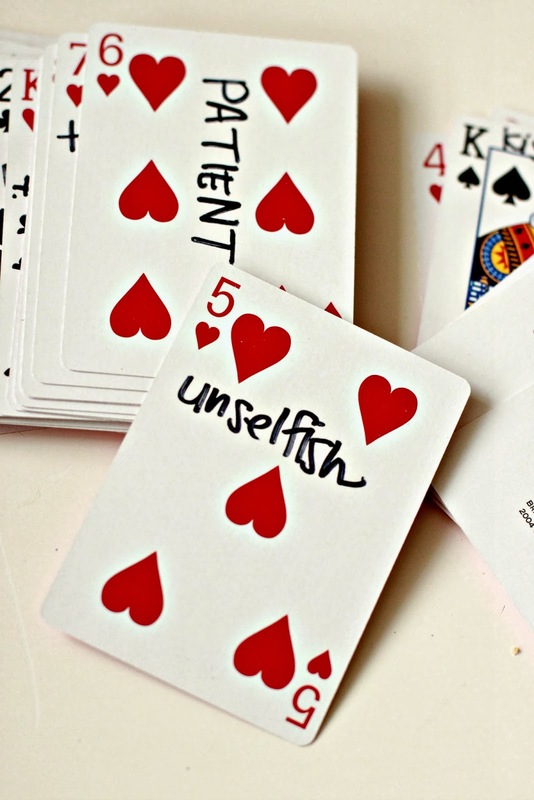 Taking a little extra time to do something special for the person you love mostest. Or finding ways to let them know you appreciate them. I have been trying a little extra hard to show The Hubs how much I love and appreciate him. Which made this A Pinteresting Wedenesday project a no brainer. 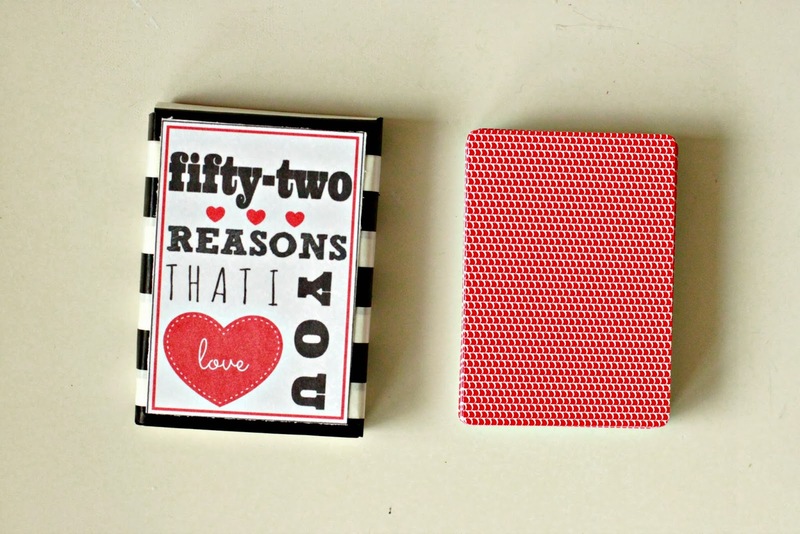 I had this Love Card Deck project pinned from DIY IYD to my Romantic Pin Board. I made my own version along with a printable. 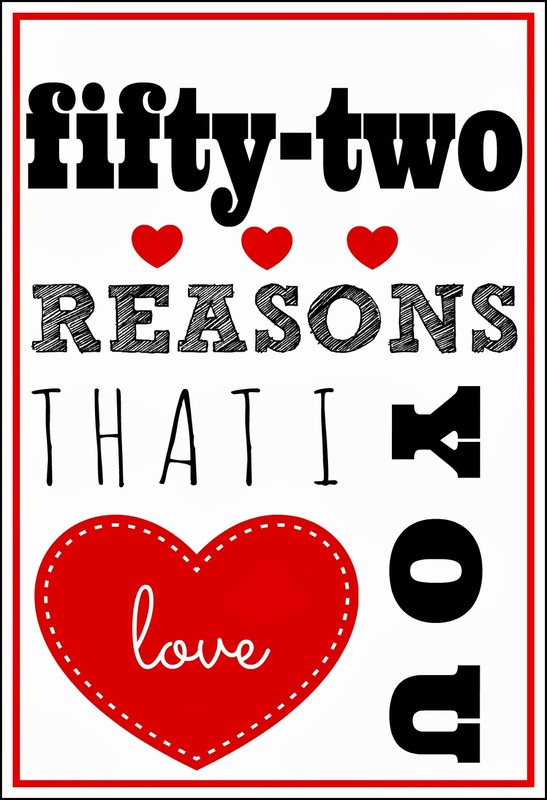 Fifty-two Reasons I Love You. 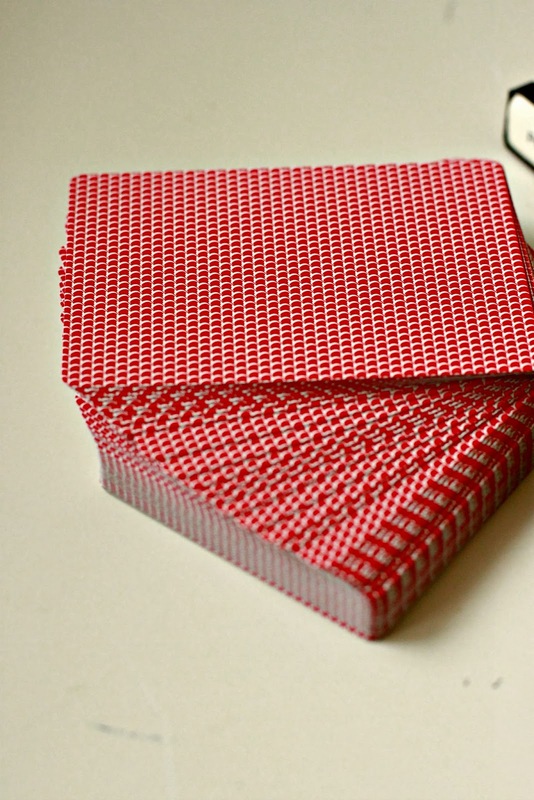 I started with a red deck of cards. I prettied up the card box a bit with some stripped paper. I made a printable using PicMonkey. 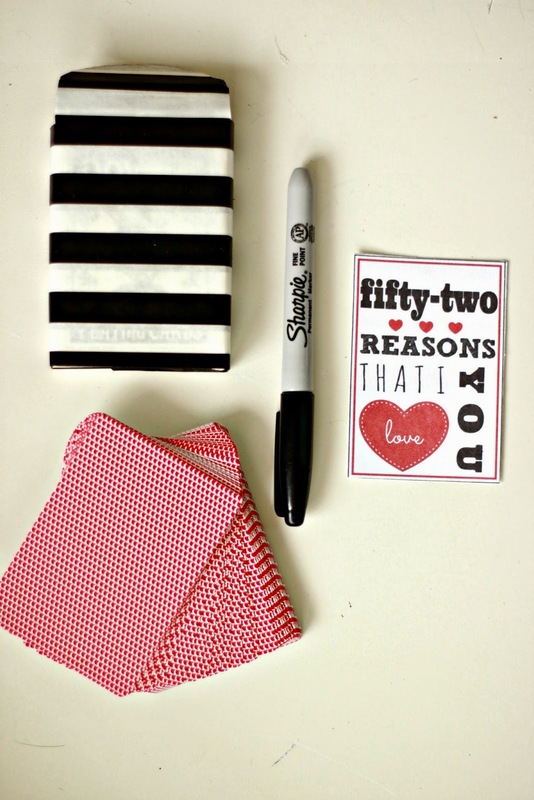 The heart overlays are perfect for any love or Valentine's Day project. Here is the printable for you. You will need to download it to your computer and then open it in a Word program. Make sure you shrink it down to about 3 1/2 by 2 1/2, which is roughly the size of a card box. 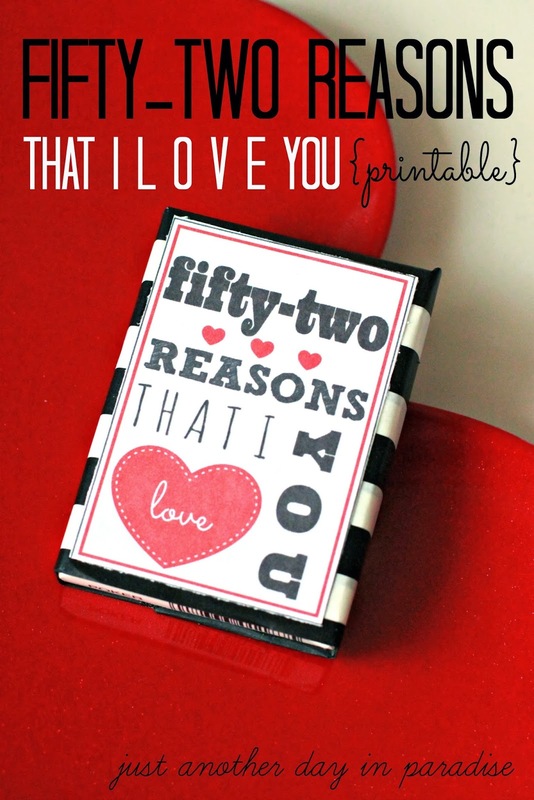 On each of the 52 cards of the deck, write reasons you love your spouse. 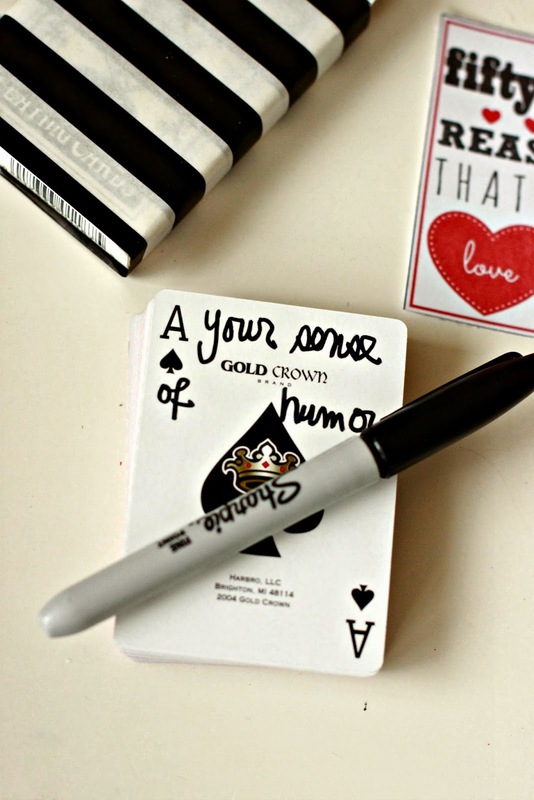 Just keep writing until you have a little message on each card. 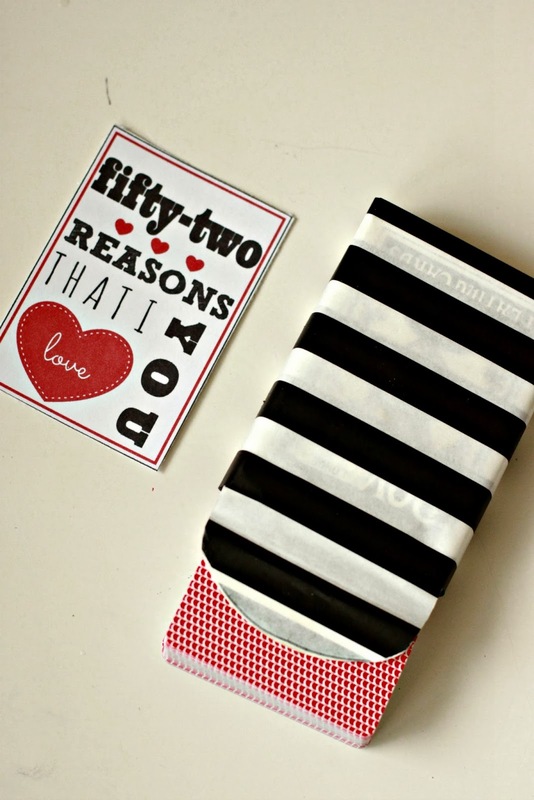 Glue the printable onto the front of the card box. 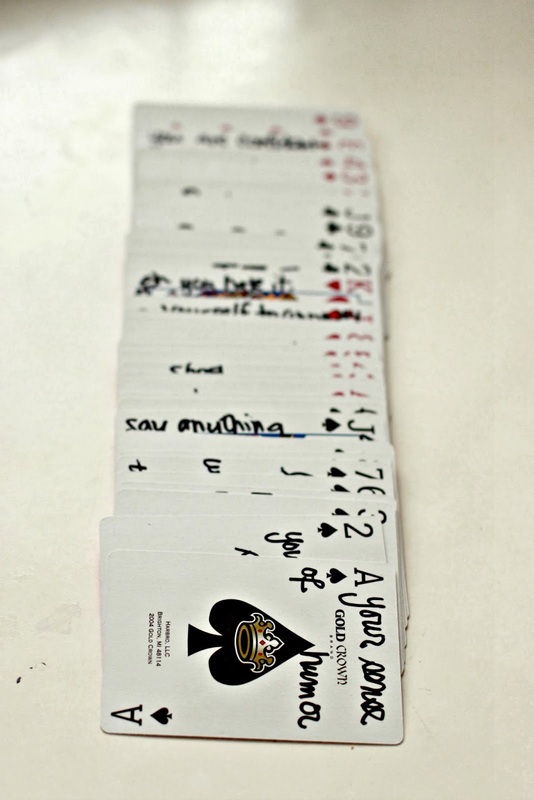 All that is left is to put the deck of cards in the box. Then you just deliver it to the lucky person. I may or may not have left The Hubs this token of my affection on his pillow. Forget the mint. 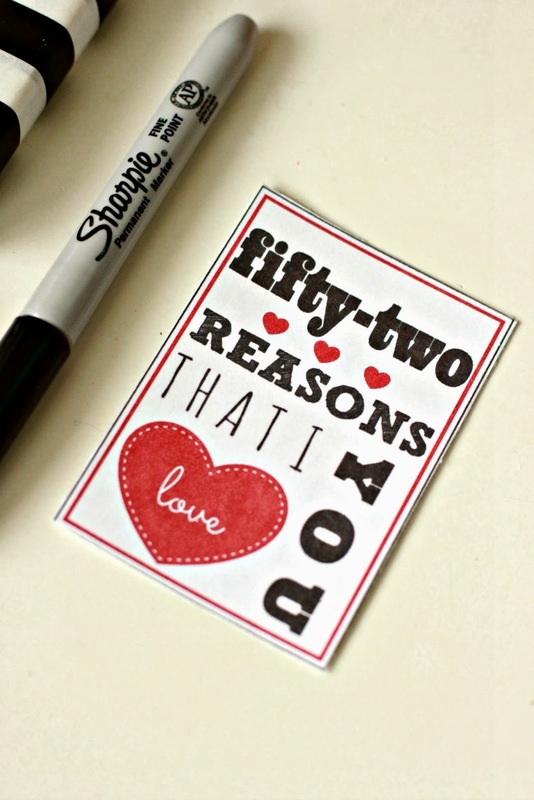 Fifty-two declarations of love and affection is way better. This is too cute!! love it!